Shandong Sensitar Machinery Manufacturing Co.,Ltd. is a famous supplier of animal waste protein handling process both at home and abroad.Our company owned authorized pressure vessel certificate(Certificate No.TS2237474-2016),CE certificate.Our company majored in dead animal harmless handle and recycle.Our technical is at a leading level in the professional organic waste recycle and reuse business.Gathering the advanced biological technology,we created the advanced dead animal harmless comprehensive handling equipment.The process line machine we designed has a lot of superior characters including high automation,definite safety,low labor intensity and etc.It achieves a high standard goal of simple,continuous and efficient manufacture technology. 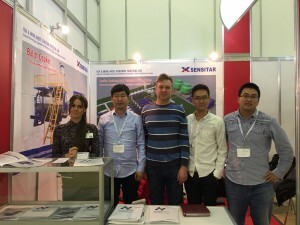 Sensitar owns a large amount superb skilled staff.Our professional engineer will design a professional process for different condition.At the same time,we will provide a superior after-service at the goal-Service to the first,quality to the success. In recent years,our company cooperated with many outstand companies both at home and abroad.